President Xi Jinping attends a reception marking the 64th anniversary of the founding of the People’s Republic of China at the Great Hall of the People in Beijing, September 30, 2013. Last week, the Chinese National People’s Congress removed Presidential and Vice-Presidential term limits, effectively allowing current President (and Chinese Communist Party General Secretary) Xi Jinping to stay in power beyond the two terms that had been the norm in recent decades. How to understand this sudden change, surprising in its particular shape though not exactly at odds with broader trends in recent years? One way is to look at the process of how the proposal to abolish these term limits worked its way through the system. Who championed it, who opposed it (or, if no one dared oppose it, who stayed silent)? What were the internal arguments for and against the proposal? The New York Times offers a glimpse at the process: Politburo Standing Committee Members Zhang Dejiang, Li Zhanshu, and Wang Huning quietly helmed the revision effort starting last September, culminating in Central Committee deliberations early this year. Though it remains unclear whether the Committee gave its approval then or at a later conclave, the Times suggests that any Committee members with misgivings would have been too intimidated to offer vocal resistance. The apparent stealth Xi employed suggests he felt it necessary to end-around what could have been a strong opposition. Unfortunately, the imposed silence means we also do not know how many in the Central Committee were opposed, and what the nature of their opposition was. If three other Politburo Standing Committee members helped shepherd the proposal through, presumably they supported the effort. Did others? 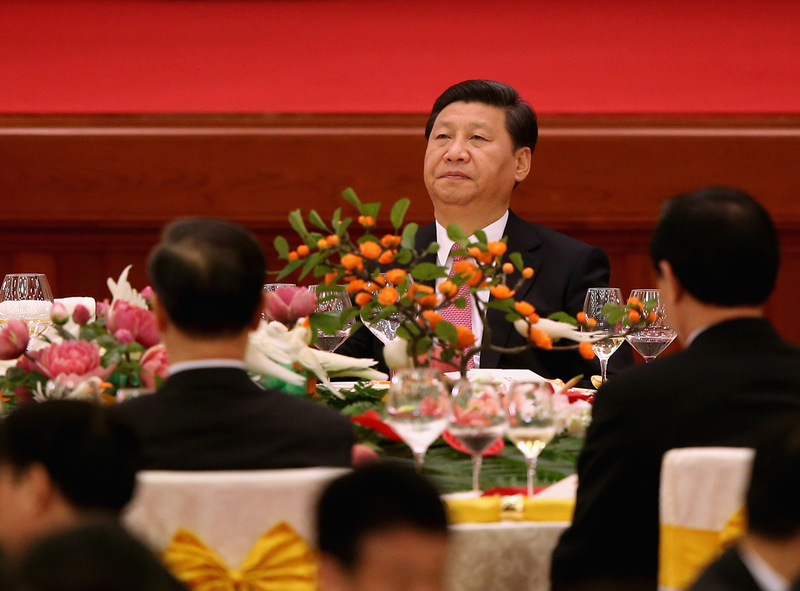 This has raised the question: Have Xi and his comrades forgotten the lessons of Mao? Are they unaware of the disasters wrought by his concentration of power in a single pair of hands? But maybe this isn’t the relevant question to ask. Must China’s own past necessarily be the primary point of reference for Xi’s, or the rest of the leadership’s, decision-making? Before this announcement, my own assumption (admittedly made with low confidence) was that the leadership would see the risk of instability associated with Xi’s staying on in power as greater than the risk of instability without him. Undoing such a crucial succession norm, I thought, was simply too dangerous to a Party that feared the injuries caused when elite leadership opinion cleaves too deeply, as it did in 1989. Yet, maybe Xi and his comrades have not forgotten this lesson—nor the lessons of Mao, which Xi himself must know all too well—but instead have determined other lessons are more germane to the moment. According to the Chinese official narrative, the failure of the Soviet regime to continue is not attributable to a broad systemic phenomenon, but rather to a very specific failure of the Communist Party of the Soviet Union. . . What exactly went wrong in the CPSU? . . . [T]he party ceased to insist that it was the sole ruling party, seeking instead to bring society in as its own ultimate governor . . . Perhaps it is not surprising, then, that party discipline and unity are at the top of the list of issues being stressed publicly in China today, and simple repression is regularly employed as a means of dealing with tensions. . . He [Gorbachev] tried to telescope economic reforms. He blindly copied a Western political model of democratic socialism. He degraded the party, by allowing a privileged class to form within it. His reforms permitted party leaders to betray each other and not follow discipline. He lost belief in communism. He did not understand ethnic separatism. He did not foster the rule of law. He permitted subversion by domestic and foreign enemies. These are lessons the Chinese Communist Party had already drawn before the current leadership was in place, but very much presaged the Xi administration’s warning of political dangers such as “constitutionalism, civil society, ‘nihilistic’ views of history, ‘universal values,’ and the promotion of ‘the West’s view of media.’” Certainly the world has since offered up further examples, positive and negative, that the C.C.P. and Xi have taken to heart. How did the failures of ruling parties in Tunisia, Libya, or Egypt contribute to each of their downfalls? What lessons might Putin and Erdogan, or for that matter, Trump, offer to the P.R.C.? These “lessons learned” all aim to provide the C.C.P. with an answer to the same central question: How does a party prevent itself from becoming ancillary to the enterprise of ruling? It seems the only way to do this is to make the party absolutely essential to the enterprise of ruling. Or: the Party is not necessarily the State, but the State must necessarily be the Party. And this, of course, underpins the current spate of legislation designed to bind the state ever more tightly to the Chinese Communist Party. This includes altering the constitution to add mention of the “leadership of the Communist Party of China” to its main body, to have state employees swear allegiance to this amended constitution, and to bring civil servants under the same disciplinary ambit as Party members. These legal changes are not to weaken the ability of the state to perform its functions. Indeed, the state is a critical appendage of the Party—the right arm, perhaps—and the Party’s aims cannot be achieved without a competent, professional workforce to swing the hammer, lift the pen, and otherwise do the all the work that a state does. But in addition to needing a high-functioning state apparatus, the Party needs one that is legally bound to be loyal. A high-functioning bureaucracy that is not tightly bound to the Party is a bureaucracy that has the knowledge and wherewithal to act independently and perhaps not always in line with the Party’s aims. In this formulation, in which the state is the arm of the Party body, Xi, at least in his presentation to the public, has become the human embodiment of the Party. The question for the Party is, from a theoretical point of view, must he remain so indefinitely? For this governance strategy to work, must the same actual human always remain as its incarnation? Whether the Party’s theoretical answer to this is yes or no, the fact that this question is necessary is unsettling. And this brings us back to the specifics of the recent term limit announcement. Even if one might have predicted that Xi would retain power beyond his first two terms, one probably did not predict it would happen in this way, at this time. Given that this specific change was so unexpected, I also wonder what leadership position reshuffles, however unlikely, remain possibilities for 2022. Now that the highest-level posts in both the state and Party bureaucracy do not have term limits, could other presumed retirees end up staying on or returning, either in the State or Party bureaucracy? If and when Xi stays on in any combination of his current combination of Party, state, and military roles, does it necessarily mean that he will be in place for his lifetime (or until deposed)? Could Wang Qishan stay on as vice president while Xi gives up his state title (even if he remains General Secretary of the C.C.P.)? Is there any other future that one could imagine? Let’s assume the path forward won’t be what we think it is, and be creative in thinking what other alternate futures might be possible.